I believe in health care that is based on a personal commitment to meet patient needs with compassion and care. I want all my patients to be informed and knowledgeable about their health care, from treatment plans and services. I'm a caring, skilled professional, dedicated to simplifying what is often a very complicated and confusing area of health care. 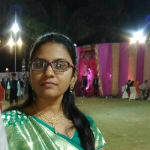 Dr. Sujata Kumari is a popular Dentist in Sirsi Road, Jaipur. She has been a successful Dentist for the last 7 years. She has completed BDS . You can visit her at DR SUJATA'S GENTLE DENTAL CARE in Sirsi Road, Jaipur. You can book an instant appointment online with Dr. Sujata Kumari on Lybrate.com. Lybrate.com has a number of highly qualified Dentists in India. You will find Dentists with more than 40 years of experience on Lybrate.com. Find the best Dentists online in Jaipur. View the profile of medical specialists and their reviews from other patients to make an informed decision. Very much satisfied with the way the team treat with patients.Someone suggested me to go there. Before going somewhere else, do take advise with this team. Dr. Sujata successfully conducted RCT in 3 of my teeth and relieved me from a year of pain and suffering where other doctors were only filling them. She has very good dental skills, Explain to pt for their problem is very well. I am satisfied to doctor's treatment. Fully satisfied with treatment. Well equipped dental set up. Charges are very economic as compare to setup. Benefits of essential oil for healthy teeth and gums. Essential oils are fantastic for helping to keep your teeth and gums healthy and strong. I'm using dreaming earth's germ buster blend for my oral hygiene routine because it contains so many healing essential oils for healthy teeth and gums, all in one go. I am almost three weeks into my natural dental health 'experiment' (see previous post). I can report that my mouth continues to feel much cleaner. My teeth and gums feel stronger. Maybe it's just my imagination, but my skin feels softer, too. These are hardly scientific findings, but they are enough for me to want to continue on. I'll keep you posted on my experience with oil pulling and natural toothpaste in future posts. If you are interested in making your own toothpaste or mouthwash, here are some ideas. Which essential oils are best for healthy teeth and gums? Peppermint and spearmint essential oils are both antiseptic oils which help to treat pain. They are great in a mouthwash or toothpaste, which is why they are such prevalent flavors in oral hygiene products. Peppermint and spearmint oils are also very effective in combating bad breath. Clove oil is one of my favorite essential oils for healthy teeth and gums. It helps fight germs and, like peppermint numbs pain and fights bad breath. Because clove is so intense, make sure to dilute it well before using. Rosemary essential oil is a good disinfectant and takes care of mouth odor. Plus, it tastes good! When it comes to a great all-purpose oral health oil, reach for manuka or tea tree essential oil. For oral hygiene, these are both invaluable - helping to fight germs, heal cold sores and kill bad breath. Myrrh oil is very good for oral hygiene in that it strengthens gums, and has antimicrobial and antibacterial properties. Eucalyptus essential oil is a germicide that has been reported to fight plaque build-up, gingivitis and prevent cavities! Lemon essential oil is antiseptic, strengthens gums and helps to whiten teeth. Cinnamon essential oil is good for bad breath and has pain-killing properties. 10 drops peppermint, 5 drops spearmint, 5 drops cinnamon, 5 drops clove, 5 drops tea tree or manuka, 5 drops lemon essential oils. Blend these together, and add to 8 oz of water. I'd recommend adding a few drops of carrier oil (such as almond or jojoba) to the water to help disperse the essential oils. If you use just water you'll need to shake well each time before using. After brushing, add a few drops to your toothbrush and gently brush teeth and gums. Rinse and spit - do not swallow! or, use as a mouth rinse after brushing. You can adjust the strength to your taste by making the essential oil concentration stronger or more diluted. Also, see our last blog posting on natural homemade oral hygiene products for some simple recipes. Lastly, if you want to keep it simple, try our germ buster blend - it already combines many of these essential oils to great effect. It tastes good and leaves my mouth feeling super clean all day long. Here's to a fresh, clean, healthy mouth! Hi, I have sensitivity problem in my teeth. Everytime I take some cold thing or sweet, my tooth aches. Can you please suggest me what treatment should I go for? Should I go for scaling as I have never gone for it till yet. Thanks in advance. Tooth has three layer. When outermost layer is removed by any reason then 2nd layer get exposed and start to sensitivity like cold food substance. It will get cured by applying sensitivity tooth paste like sensodyne and other. It will take 10-15 days to cure. Apply on all tooth surface left for2-5 mints. Then brush with regular tooth brush. If it is not cured by then then contact to me. Or check for any cavity and get it restored. From since 8 years am facing severe ulcers on my mouth it is making much problem to me I can't eat well drink well talk well soo please suggest me anything. Take cap b-complex. Apply ultigel or tess on it thrice daily before half an hour of drinking or eating. Do warm saline rinse gargle with salt. Drink plenty of water and eat leafy and fibers vegetable. She is suffering from extreme pain in her teeth. Specially during night times unable to sleep. Please help me with best medicine to give her. She had a tooth picked up last October. For temporary relief you can give her ketorol -dt. And check for cause of pain do necessary treatment. Sir/Mam mere teeth mai kida lag gaya hai vo aage na bade iski koi medicine ya ko upay bayay. Ye medicine se thik nhi hoga.jitna kida laga h..usme masle bharge..aur brush two time karna h.. Raat me brush jarur karna h..use mouthwash like chlorhexplus. I have a teeth infected and half of it is already broken. Hence it is paining and disturbing me a lot. Should I do the root canal treatment or I should take it out? Please suggest. Yes u should go with Rct and after that capping is required.more detail will give after examing the case. So consult to Dr.if we cannot preserve tooth then only we will extract . First of all do scaling of ur teeth. Do regular tongue cleaning with tongue cleaner. Do brushing at night also. And do mouthwash regularly. I have got pyria, gum bleeding and swelling. Got a thick layer on my teeth. I can feel it with my tongue. please suggest. Can not brush my teeth at all. Doesn't pain but bleeds badly. U have to go for scaling and rootplaning of ur teeth immediately. Along with this do mouthwash and leukwarm water gargle with pinch of salt.use soft toothbrush colgate gumcare. Hello doctor I am 30 years old I eat in cold like ice cream my teeth in painting what I do now please tell me. Consult to Dr. For any cavity or some enamel loss is there. If cavity present restore it and enamel loss is there apply sensitivity paste on it. It will take 15 -20 days to recover. When I take lemon rice. I am getting teeth problem. I will not able to take lemon rice again. I think u have initial caries is present. Consult to Dr. Due to this u might be problem in taking lemon .